In life, and in design, it’s so easy to get complacent. To get bored. To settle and let things just get so bland that we kind of forget to try something new. To put some effort in. To live a little. I know what that’s like because I do it, too. There are those parts of our home that get ignored, put on the backburner for years. Or rooms that we were inspired to get just right, to adjust and perfect until we fell in love with them… only to let the years slide by while things got stale again. Sometimes it just feels like a lot of work to rethink things, to choose and rearrange and make it fresh when things are ‘good enough’ but after watching a documentary on Iris Apfel again recently, I got thinking about inspiration and passion and how that translates to our homes. A happy, rich, interesting life should translate into a home that looks and feels the same. It is worth it to feel good in our places and spaces, isn’t it? Iris and I, we also agree on another aspect of style: there are far more important things in life. Education, charitable work, doing a good job at whatever your craft is. Being happy. One of my least favorite type of question from clients centers around what is ‘in style’… because, well, who cares? What an industry deems on-trend has very little to do with good, meaningful interior design that is going to feel good and look good to *you*. 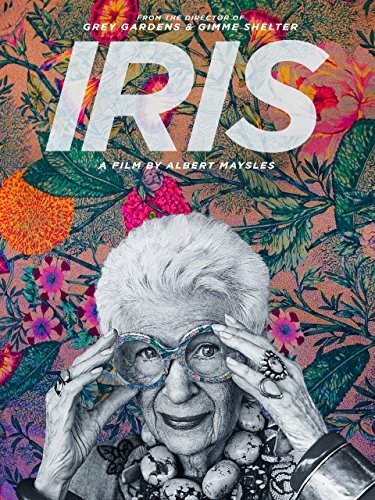 So, what can we learn from fashion icon, and general profound badass, Iris Apfel about interior design? Put things together that make you happy. Don’t seek trends to follow. Mix up color and pattern and texture. Use the items in your home to compose the story of who you are. Have some excitement about what you are doing. 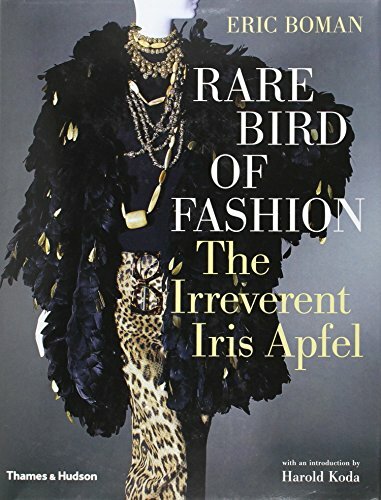 Iris Apfel, in her mid-nineties, is wise and bold and an absolute inspiration when it comes to the business of getting clear on your style and just going for it. Lessons we all should soak up. 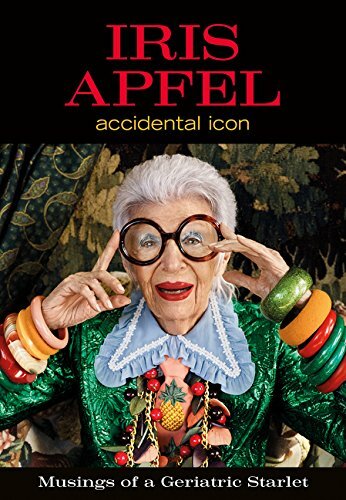 Want to learn more about Iris Apfel? Check out the links below! Some links are affiliate links. Please visit the 'Policies' tab in the sidebar for full information about what and why this is. You can find all of these digital graphics I created, for free instant download, in my Resource Library. Click on the image or button below to register or sign in!